Google Health Cards – Should we be worried? What should I make for dinner? What is the weather forecast for today? Why do I have this pounding headache? There is one place we all turn to ask all these questions and find millions of answers. Google – the online beast! And now it’s being positioned as the new contribution to primary health care. According to some recent estimates, 1 in 20 Google searches are health related . 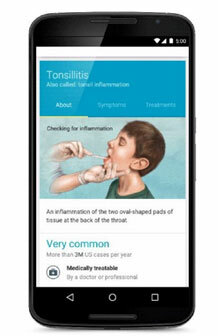 Google, aware of this increasing trend of people self-diagnosing and searching their symptoms online, have now launched a verified medical information ‘card’ for common health issues like coughs and infections. Advise if medical attention is required. Google is adamant that Health Cards are not designed to give medical advice but merely to provide more accurate information to those already searching for answers. They say they will not replace GPs and we tend to agree. The Google Health Cards program manager Isobel Salaqua stated that this feature was created to “help people find the health information they need more quickly and easily”. With time pressure that affects all Australians, this refinement of information will be helpful in knowing the potential severity of an illness and the urgency of seeing a GP for medication and treatment. Google Health Cards are not here to replace professional GP advice but will hopefully provide more accurate information to those already searching for answers. We all know how much misinformation is out there on the internet, so a simple and well-researched guide advising patients to seek the correct care from their health professional can only be helpful. So are you worried? Should we be worried? 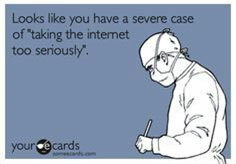 If you have any comments about Google health cards, drop us a line at info@alecto.com.au. and tell us what you think. Read the full article at Courier Mail.